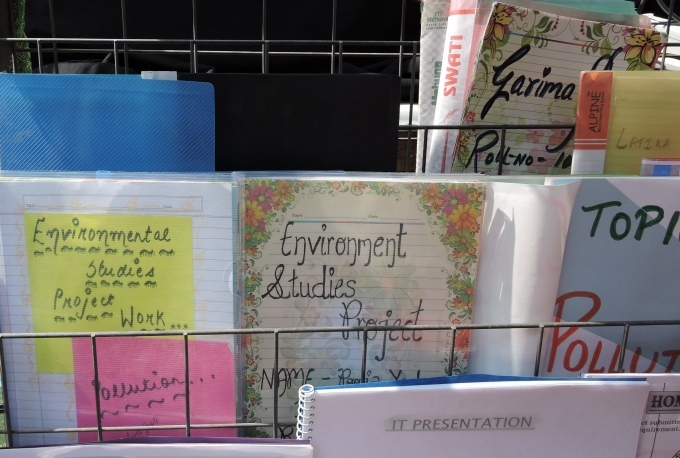 The University of Delhi took a major leap in promoting Environmental Education in 2014 and initiated a compulsory One Semester Credit paper on Environmental Studies/ Science for all its undergraduate students. The direction for introducing such a Course has come from the Honorable Supreme Court of India, as a measure to ensure justice for the future generation – in at least letting them know the status of their present environment and provide them with the knowledge and tools to secure and safeguard their future. The present batch (2014-2017) that will graduate from the University of Delhi this year will be the first such batch, where all the 80,000+ students graduating would have passed a compulsory Environmental Studies paper in their First year. Delhi Greens hopes that this education will translate into action and that this will go a long way in environmental protection and sustainable development of Delhi and India. Delhi Greens wishes green good wishes to all the students preparing for this exam! Thank you ma’m for sharing the link. i have back in evs but all years are clear so i have to repeat the whole semester? i have a back in evs, ottherwise a have clear all the subject,so can i apper for ignou ?